But becoming the Queen Crowned isn’t solely a matter of royal birth. Each sister has to fight for it. And it’s not just a game of win or lose…it’s life or death. The night the sisters turn sixteen, the battle begins. Holy moley this book was an excellent roller coaster of emotions and craziness. Blake has created an absolutely intriguing story world where the isolated island members are pretty fanatical about their precious queens and they will do almost anything to see their queen crowned. The narration in this story is a bit muddled at times, because the story seems to flow from character to character third person limited, so that way the reader is in the loop about all of the dealings behind the scenes, and everything that is going on within the three areas of the island where the girls are kept. 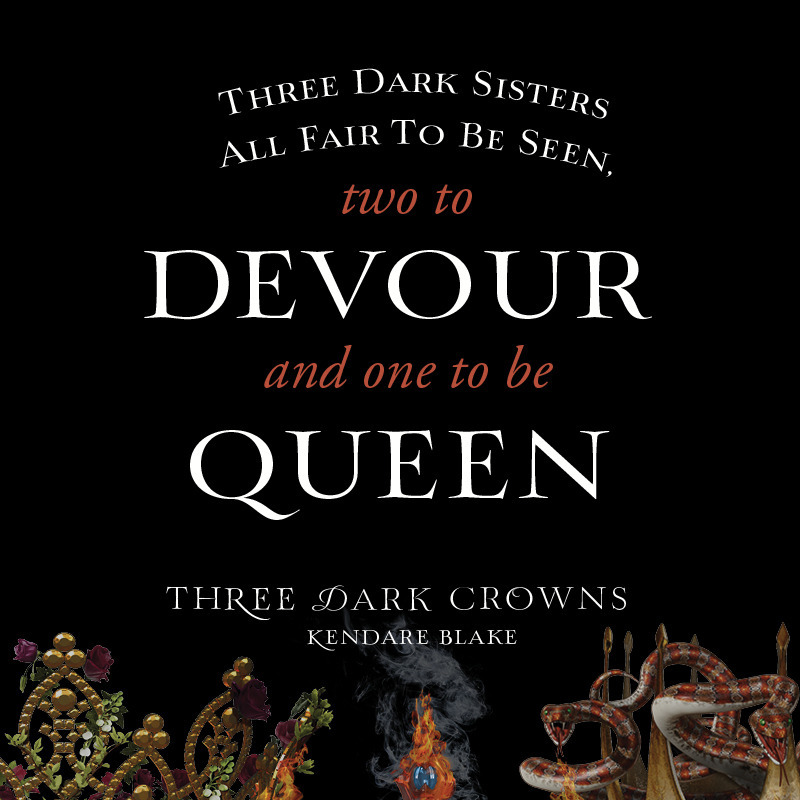 Obviously the reader gets the point of view of each of the queens, Katharine, Arsinoe, and Mirabella. But we also get the point of views of those closest to them, Natalia and Pietyr for Katharine, Jules, Joseph, and Billy for Arsinoe, and Luca for Mirabella. While I did find the narration switches to be confusing at times and sometimes the narrative voices blended together, it served the story well and it allowed for a few *gasp* moments during my read. As for the queens themselves as characters: I can’t decide which one I like more. Fierce Arsinoe who has overcome her faults and accepted her fate only to find her fate different by the end of the novel. Loving Mirabella who can control raging fire but can’t control how much she loves and misses her sisters. Shy Katharine who is stronger than anyone will give her credit for, despite her short comings. They were all raised to hate and want to murder their siblings in order to take their crown, but fore the most part the girls are pretty reluctant. It seems that for the most part, none of them actually hate each other, but are just kind of resigned to their lot in life…of having to commit murder in order to live. It’s a pretty dark burden they all carry, but they do manage to find a bit of happiness in their worlds, although an unfortunate love triangle pops up that broke my heart for two different characters. Damn you, Blake for giving me feels. 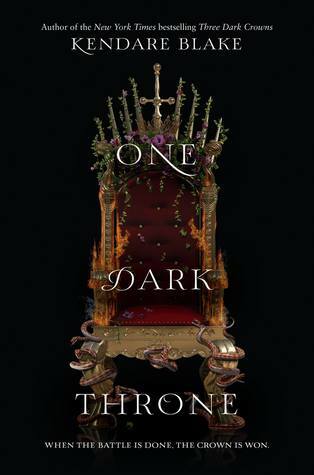 The narrative has such a sense of urgency throughout the whole book, which is excellent considering the story takes place over a number of months leading up to the final conclusion of Beltane at the end of Three Dark Crowns. The readers learn a pretty important plot point there at the end, one that will change the course of the next installment. Overall the world building was excellent for a first fantasy novel, and I’m sure we will continue to get more details on the history of the prophecy for the triplets (I can hope! ), and more insight into what happens if the queens fail to kill one another. 4.5 Bards! Keep an eye out for our interview with Kendare Blake from the Texas Teen Book Festival!